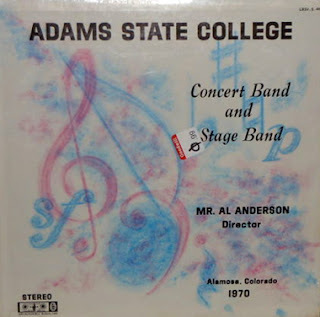 I just realized, in all of the years I have written about Southern Colorado recordings, I have never featured anything from Alamosa. It's not for lack of trying. To be honest I never found anything, until now. It's come to my attention that the talented band and chorale groups at Adams State College actually recorded their performances. Below are the four I have located. If anyone knows of any other vinyl offerings from the school, I would love to know. The earliest ones I could get my hands on date back to the late 1950s and early 1960s. 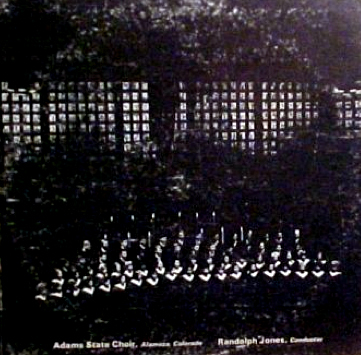 The a cappella choir recorded an LP of a concert tour they took part in that year. The group traveled throughout Colorado, Arizona, Utah, Nevada, and California, throughout the month of April. 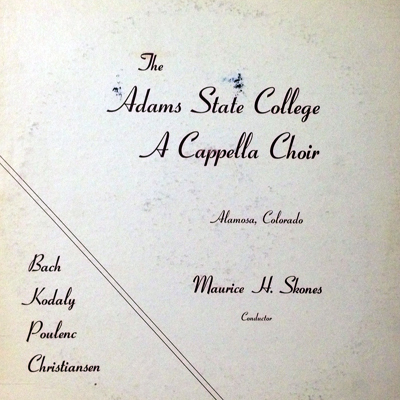 Note of another release, Adams State College Choir, Maurice H. Skones, Director (Century V12258) 1961. 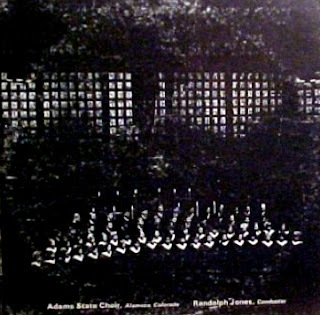 In 1969 the group traveled to Germany and also documented the trip on vinyl. (United Recordings UAS 561-50190). Randolph Jones, conductor. The following year, the college's concert and stage bands produced an LP.